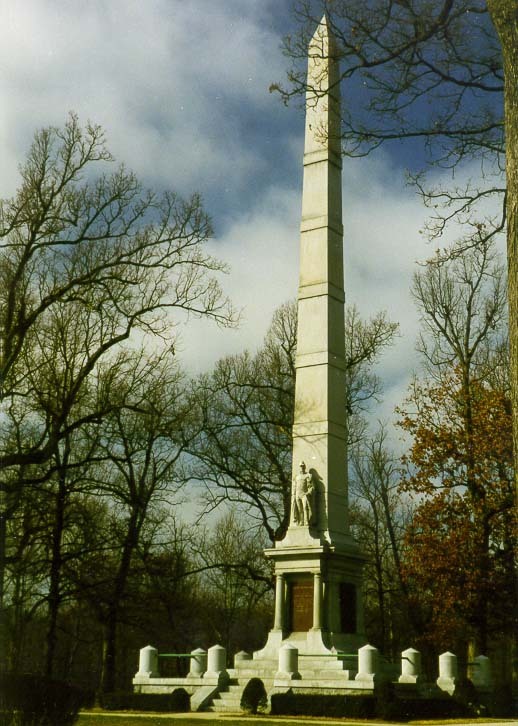 Harrison's monument at Tippecanoe Battlefield near Lafayette IN, August 15, 1999. 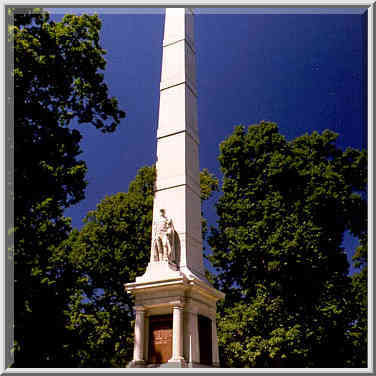 Harrison se monument by Tippecanoe Battlefield naby Lafayette IN 15 Augustus 1999. Harrison's monument në Tippecanoe e betejës pranë Lafayette NE, 15 gusht 1999. هاريسون نصب تذكاري في ساحة المعركة تبيكانو قرب لافاييت في ، 15 أغسطس 1999. Harrison's հուշարձանին Tippecanoe մարտադաշտի մոտ Lafayette Է, Օգոստոս 15, 1999 թ. IN Lafayette yaxın Tippecanoe Battlefield, 15 avqust 1999-cu ildə Harrison abidəsinin. Harrison's Tippecanoe Lafayette gertu Battlefield IN, abuztuaren 15, 1999 at ditugu. Харысан помнік на Типпекано Battlefield паблізу Лафайет У, 15 жніўня 1999 года. Lafayette কাছাকাছি Tippecanoe পুলিশ এ হ্যারিসন এর মধ্যে স্মৃতিস্তম্ভ, আগস্ট 15, 1999. 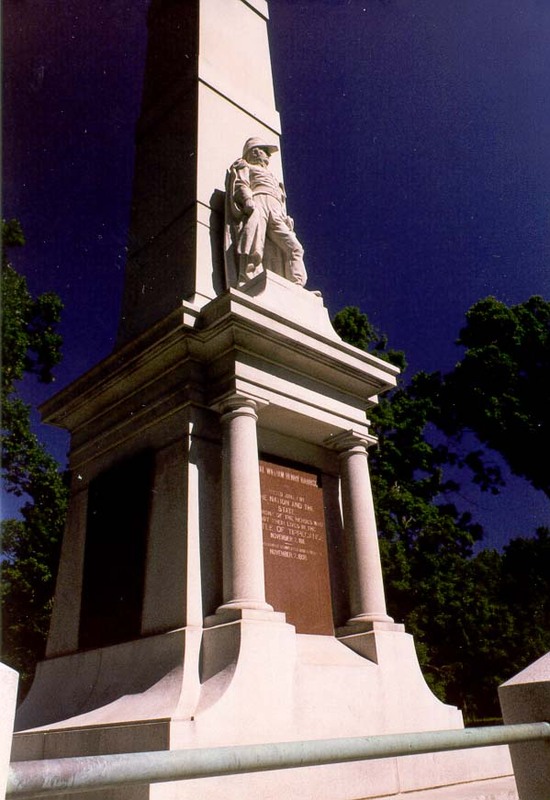 Харисън паметник на Tippecanoe Battlefield близо Lafayette В, 15 август, 1999.
monument de Harrison en el camp de batalla de Tippecanoe, prop de Lafayette IN, 15 d'agost de 1999. Harrison's spomenik na Tippecanoe Battlefield blizini Lafayette IN, 15. kolovoz 1999. Harrison je památka na Tippecanoe Battlefield poblíž Lafayette V 15. srpna 1999. Harrison's monument på Tippecanoe Battlefield tæt på Lafayette IN, August 15, 1999. 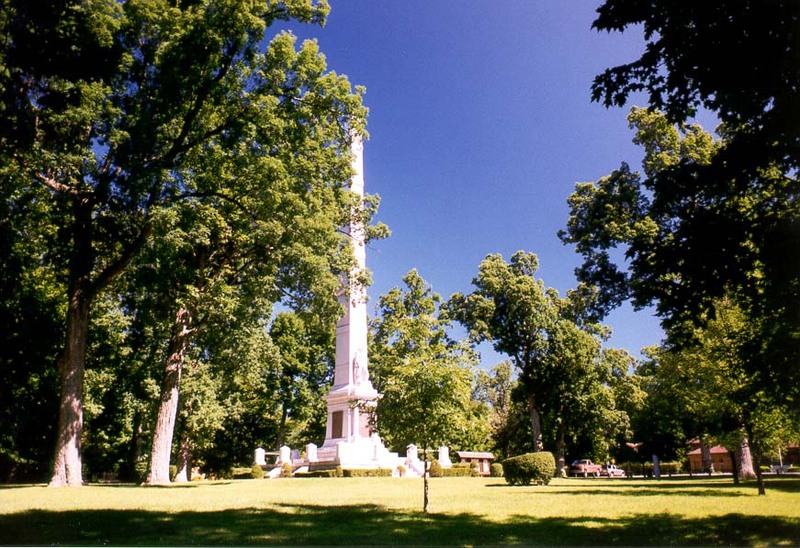 Harrison's monument op Tippecanoe Battlefield in de buurt van Lafayette IN, 15 augustus, 1999. Harrison's monument kell Tippecanoe Battlefield lähedal Lafayette IN, 15. august 1999. 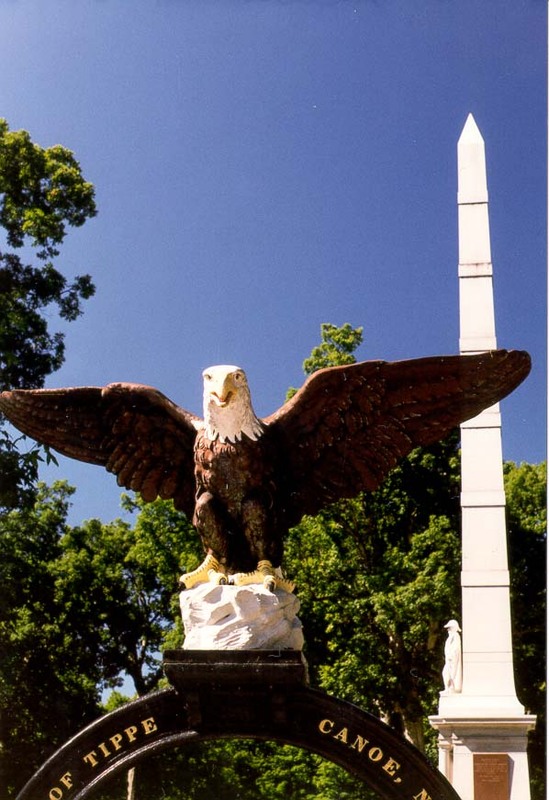 Harrison's monumento sa Tippecanoe Battlefield malapit Lafayette IN, 15 Agosto 1999. Harrison muistomerkki on Tippecanoe Battlefield lähellä Lafayette IN 15. elokuuta, 1999. Harrison monument à Tippecanoe Battlefield près de Lafayette IN, le 15 août 1999.
monumento de Harrison na Tippecanoe Battlefield preto de Lafayette IN, 15 de agosto de 1999.
ჰარისონი ძეგლი at Tippecanoe Battlefield ახლოს Lafayette IN, 15 აგვისტო 1999. Harrison's Denkmal am Schlachtfeld bei Tippecanoe Lafayette IN, 15. August 1999. માતાનો હેરિસન લાફાયેટ નજીક ટીપનો બેટલફિલ્ડ પર સ્થાપત્ય, 15 ઓગસ્ટ, 1999.
μνημείο του Harrison στο Tippecanoe Battlefield κοντά Lafayette IN, 15 του Αυγούστου του 1999.
moniman Harrison a nan Tippecanoe Battlefield toupre Lafayette IN,, 15 out 1999. 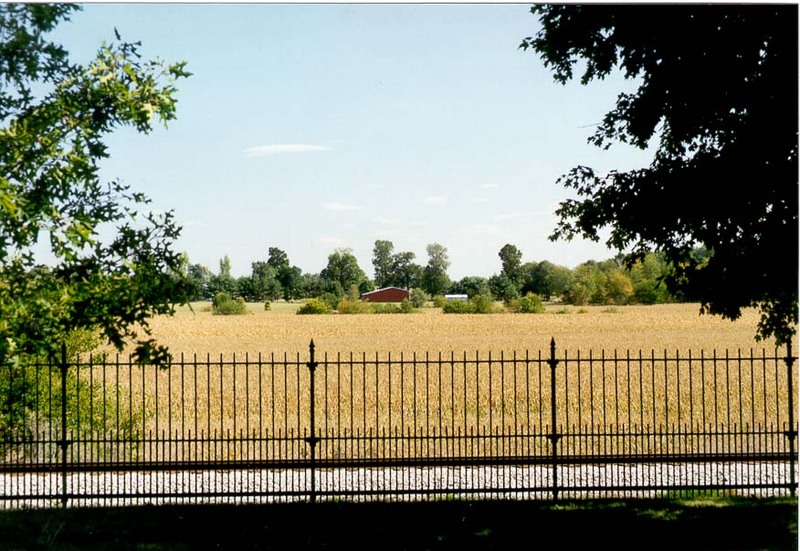 הריסון של האנדרטה Tippecanoe Battlefield ליד Lafayette IN, 15 באוגוסט, 1999. 'टिप्पेकेनो Lafayette में युद्धक्षेत्र के पास, 15 अगस्त, 1999 में हैरिसन का स्मारक. Harrison emlékmű a Tippecanoe Battlefield közelében Lafayette IN, augusztus 15, 1999. Harrison er minnismerki Tippecanoe Battlefield nálægt Lafayette IN, 15. ágúst, 1999. Harrison monumen di Tippecanoe Battlefield dekat Lafayette IN, 15 Agustus 1999.
séadchomhartha Harrison ag Tippecanoe catha in aice Lafayette I, Lúnasa 15, 1999.
monumento di Harrison a Tippecanoe Battlefield vicino a Lafayette IN 15 agosto 1999. ಇನ್ ಲಫಾಯೆಟ್ಟೆ ಬಳಿ ಟಿಪ್ಪೆಕೆನೋವ್ ಯುದ್ಧಭೂಮಿ ನಲ್ಲಿ ಹ್ಯಾರಿಸನ್ ನ ಸ್ಮಾರಕ, ಆಗಸ್ಟ್ 15, 1999. 라파예트에 가까운 Tippecanoe 전장 8 월 15 1999 해리슨의 비석. Harrison's Tippecanoe monumenta Lafayette IN Insomnia prope August XV, MCMXCIX. Harrison pieminekļa tuvu Lafayette Tippecanoe Battlefield IN, Aug 15, 1999. Harrison paminklas ne Tippecanoe Battlefield šalia Lafayette IN, rugpjūtis 15, 1999. Харисон споменикот на Tippecanoe Battlefield во близина на Лафајет ВО, 15 август 1999 година. Harrison monumen di Tippecanoe Battlefield berhampiran Lafayette IN, 15 Ogos 1999.
monument Harrison fiż Tippecanoe Battalja qrib Lafayette FI, 15 awissu, 1999. Harrison's monument på Tippecanoe Battlefield nær Lafayette IN, 15. august 1999. بنا هریسون در میدان جنگ Tippecanoe نزدیک لافایت در 15 اوت ، 1999. Harrison pomnik w Tippecanoe Battlefield pobliżu Lafayette IN, 15 sierpnia 1999 roku. monumento de Harrison na Tippecanoe Battlefield perto de Lafayette IN, 15 de agosto de 1999. Harrison monumentul de la Tippecanoe Battlefield lângă Lafayette IN, 15 august 1999. Харрисон памятник на Типпекано Battlefield вблизи Лафайет В, 15 августа 1999 года. Харисон је споменик на бојишту код Типпецаное Лафајет у, 15. августа 1999. Harrison je pamiatka na Tippecanoe Battlefield blízkosti Lafayette V 15. augusta 1999. 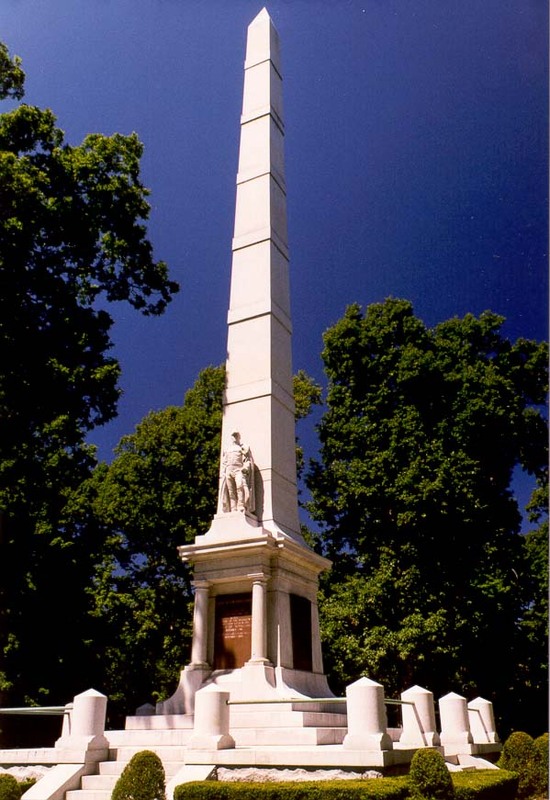 Harrison's spomenik na Tippecanoe Battlefield blizu Lafayette V, 15. avgust 1999.
monumento de Harrison en el campo de batalla de Tippecanoe, cerca de Lafayette IN, 15 de agosto de 1999. Harrison monument ya saa Tippecanoe vita karibu Lafayette I, Agosti 15, 1999. Harrisons monumentet vid Tippecanoe Battlefield nära Lafayette i den 15 augusti 1999. இந்த லஃபாயெட்டெ அருகில் Tippecanoe போர்க்களத்தில் உள்ள ஹாரிசன் தான் நினைவுச்சின்னம், ஆகஸ்ட் 15, 1999. IN లఫఎట్టే సమీపంలో Tippecanoe యుద్దభూమి వద్ద హారిసన్ యొక్క విగ్రహం, ఆగస్టు 15, 1999. IN Lafayette yakınındaki Tippecanoe Battlefield, 15 Ağustos 1999 Harrison's anıt. Харрісон пам'ятник на Тіппекано Battlefield поблизу Лафайєт В, 15 серпня 1999 року. Lafayette کے قریب Tippecanoe میں میدان جنگ ، 15 اگست ، 1999 میں ہیرسن کا یادگار. Harrison của đài tưởng niệm tại Tippecanoe Battlefield gần Lafayette IN, 15 tháng 8, 1999. Harrison's heneb yn Tippecanoe Battlefield ger Lafayette YM, Awst 15, 1999. האַרריסאָן ס מאָנומענט אין טיפּפּעקאַנאָע באַטטלעפיעלד לעבן לאַפיעט אין, 15 אויגוסט 1999.